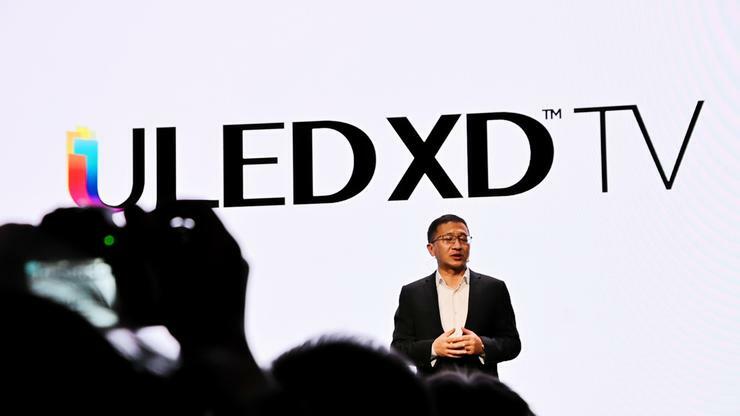 Hisense have announced plans to upgrade their ULED LCD tech to a new standard it calls ULED XD. Traditional LCD LED designs like the company's existing ULED range combine an RGB display panel with a backlight. However, from the way they described it during their press conference, Hisense's new approach involves squeezing a second HD greyscale panel between the TV's 4K panel and the LED backlight. Hisense claim this will allow them to offer deeper blacks that are comparable to those found in OLED TVs at a reduced cost to consumers. The company has yet to fully roll out the details around when and how it'll be using this new technology but did say that the picture quality of their ULED XD TVs will be enhanced by AI algorithms that deliver "incredibly deep blacks and dazzling brightness" of up to 2900 nits. No pricing, availability and specs for Hisense's ULED XD TV have been announced at this stage.